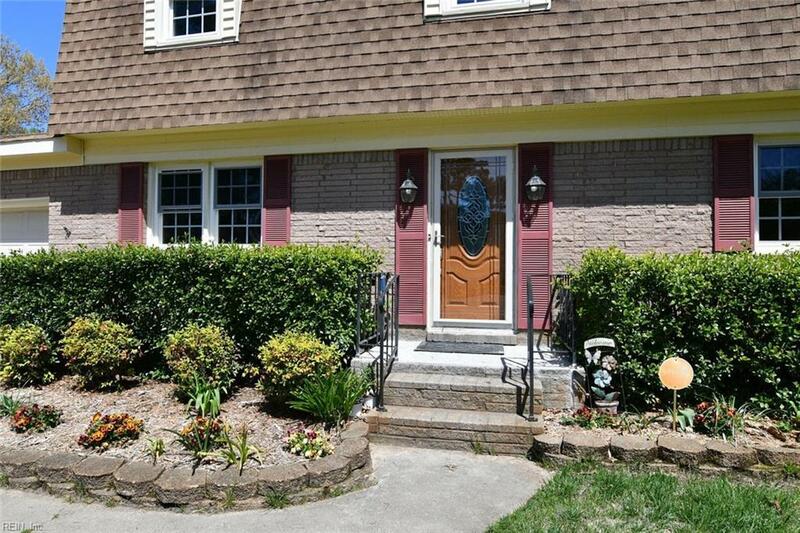 Welcome home to this wonderful home near Virginia Beach's sought after Hilltop area. Close to restaurants, shopping, hospitals and easy interstate access. Close to beaches and bases! Approximately 1,980 sq. 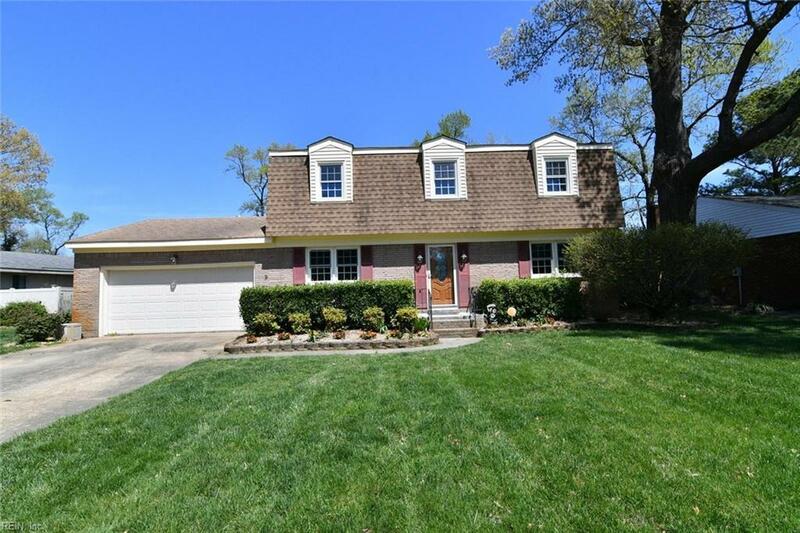 feet with 4 bedrooms and 2.5 remodeled baths! Freshley painted and brand new carpet installed throughout! Nice big quarter acre yard with newer hot tub on large deck. 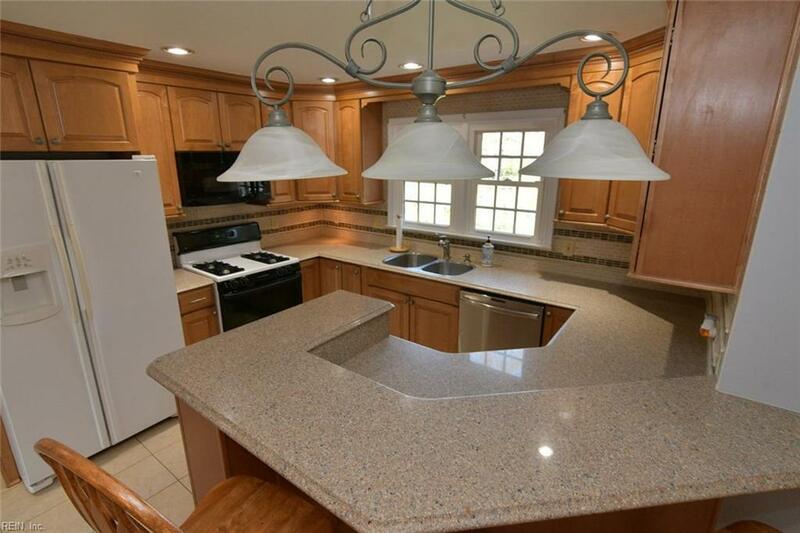 Lovely remodeled kitchen with Craftsmaid maple cabinets with slide out drawers and soft tough closure! Silestone counters. GE appliances. 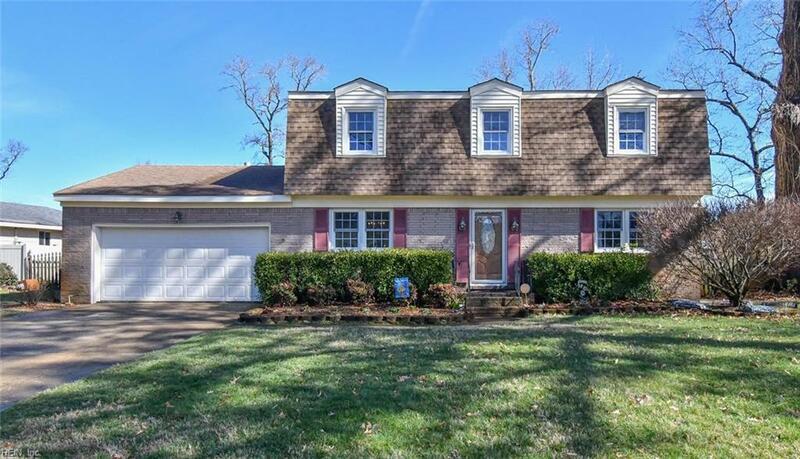 Formal living and dining rooms plus a wonderful family room off the kitchen with bamboo laminate flooring, natural brick gas fireplace flanked by bookcases. Replacement triple pane windows and wooden blinds. Tankless H2O and gas Weber grill conveys! Roof approx. 10 years old!